At Broadway Dental in Tampa, FL, we enhance our patients' lives through our high-quality, personalized dental care. Let us help you smile with confidence. 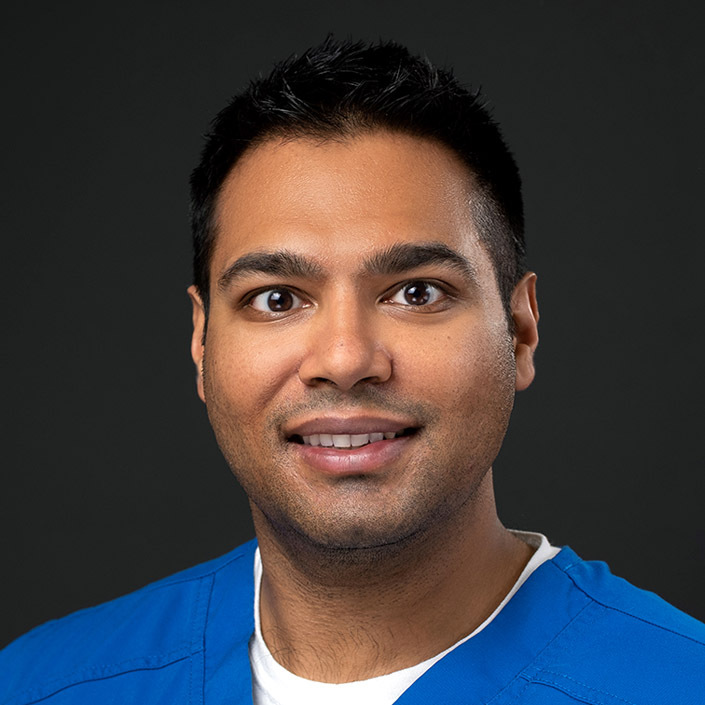 Dr. Doshi graduated from Tufts University School of Dental Medicine in Boston, MA. 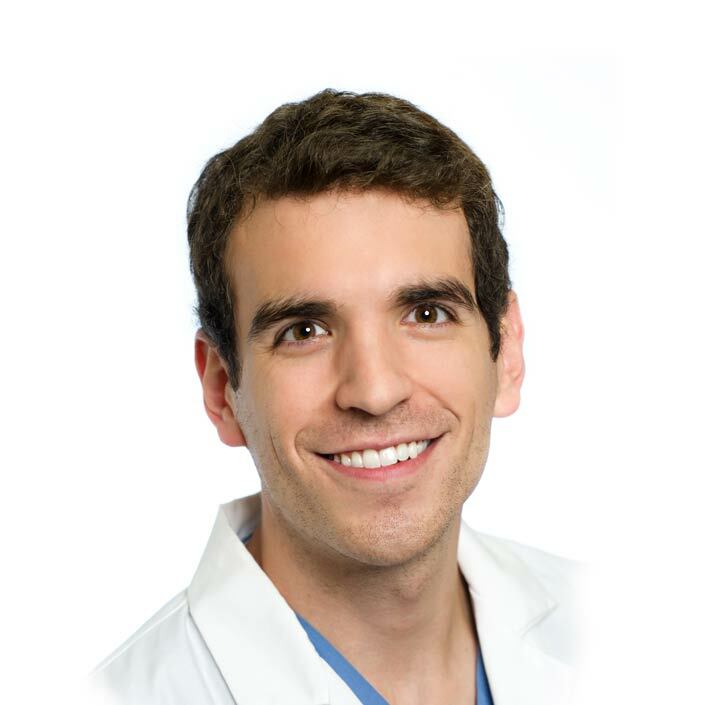 Dr. Ormaza received his Bachelors Degree from Vanderbilt University in Nashville, TN. We are here for you and your family at Broadway Dental in Tampa, FL. 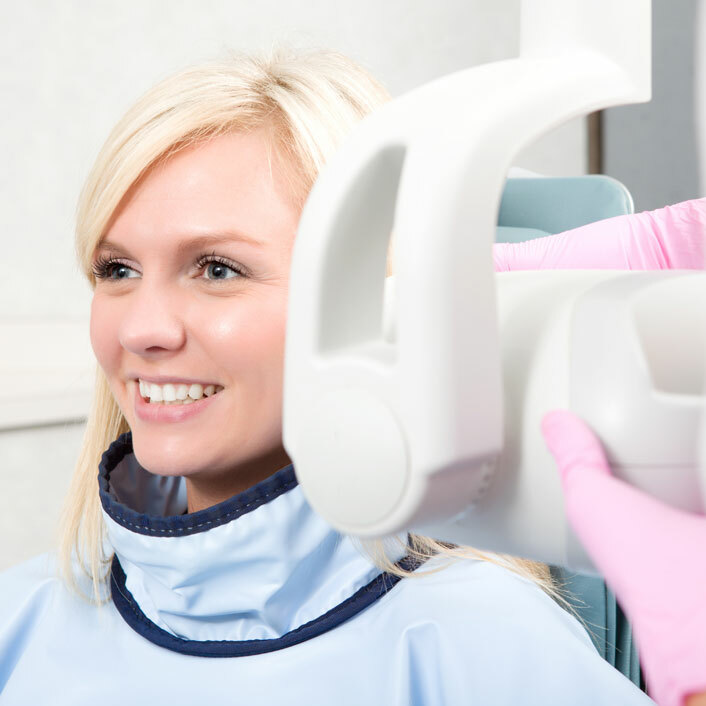 During the first visit the Tampa dentist performs complete oral exam (teeth and gums), medical interview, facial muscles and joints, and X-rays. Based on the results the Tampa dentist will prepare the best dentistry treatment plan, set up a visit with other dentistry specialists if needed and show you the best option treatment for the best price in Tampa. 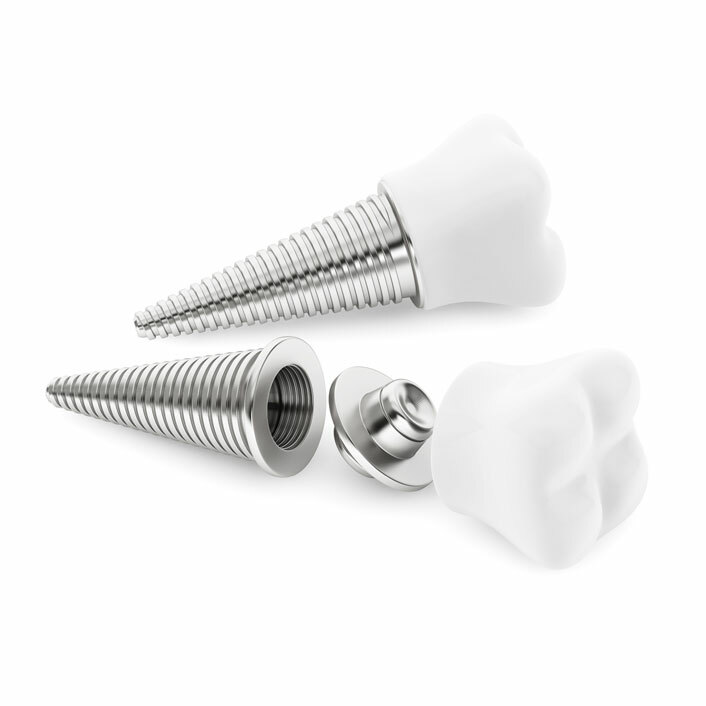 A dental implant is small screw placed in the jawbone working as a root of an artificial tooth. An implant connector is attached to its upper part creating in this way the place of anchorage for a crown, a bridge or a denture. The most common material for dental implants is pure titanium but there are also ceramic implants, e.g. made of zirconia. Titanium is a biocompatible metal, which means that it is very well tolerated by the human body and does not cause any allergic reactions. The placement of the implant inside the bone is followed by the process of ossointegration, i.e. the fusion of the live bone tissue with the titanium surface of the implant. As a result, the implant integrates with the bone. It is believed that the oxygen included in the bone tissue creates a layer of titanium dioxide on the surface of the titanium insert. New bone tissue mineralizes on top of it creating the true anchorage for the implant. The integration of the insert with the bone is an ongoing process consisting of the constant resorption and absorption of the bone tissue. These two processes are balanced by biomechanical forces created by the prosthesis. For many years, research efforts have been directed at improving the titanium surface of the implant. At present, it is rough, especially digested to stimulate advanced bone growth and speed up the healing process, which shortens the treatment time. 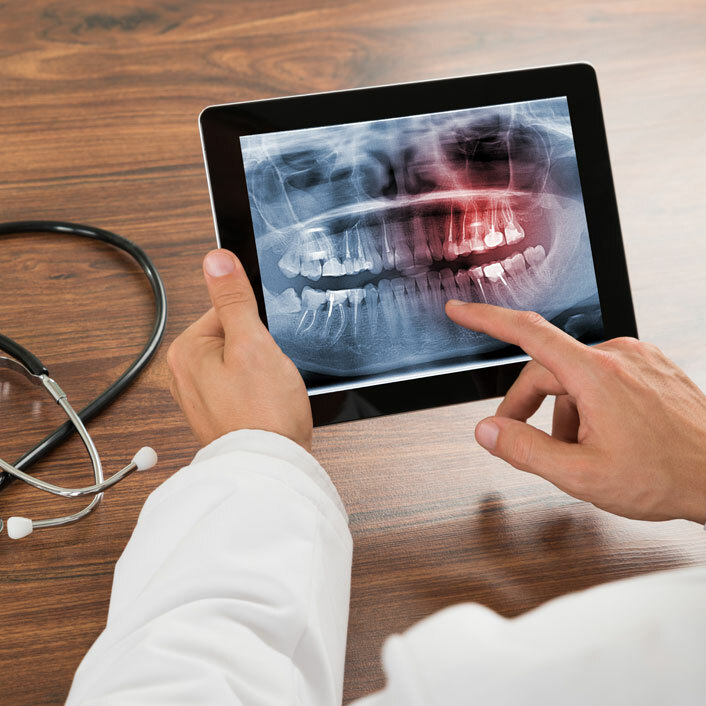 The newest technology in Tampa, Florida dentistry for saving teeth from extractions is a root canal treatment under the microscope. The microscope allows the dentist to view channels and anomalies that are not visible to human eye. The microscope root canal treatment may save your teeth even if the traditional root canal treatment was not successful. Please check all possible treatment options before making a decision about tooth extraction. We will help you save your teeth. We offer the latest options of crowns, fillings, and bridges in prosthetic dentistry here in Tampa, Florida. We work with reputable prosthetic laboratories to make ceramic veneers, crowns and bridges based on nickel-free metals, gold, titanium and zirconium covered with the porcelain. A porcelain crown is a permanent prosthetic restoration replacing a part of the crown, which looks very similar to the natural tooth. An absolute indication for crowning a tooth is when its natural crown is damaged or weakened by extensive or plural caries, trauma, tooth abrasion or inefficient, numerous or extensive fillings. Other indications include, among others, the correction of teeth color, shape or position, the correction of phonetics, aesthetics correction. 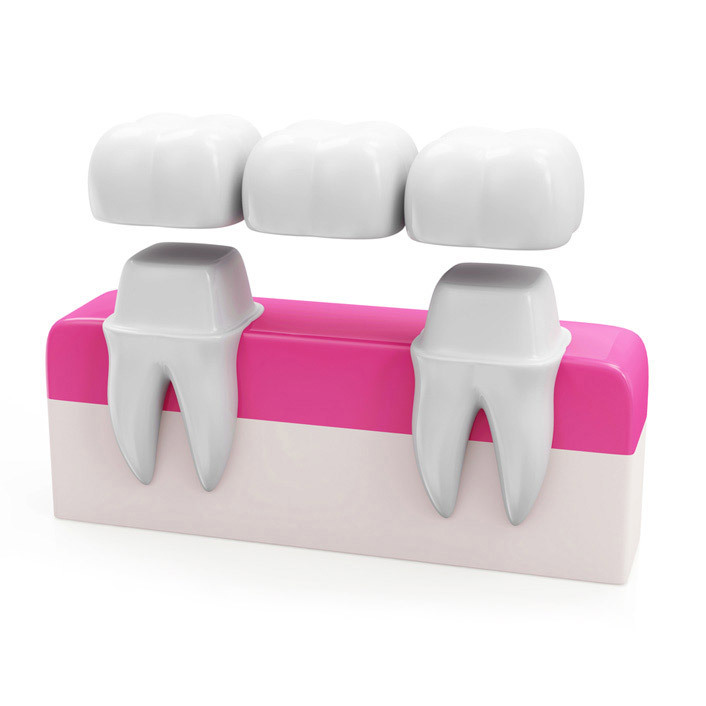 Adhesive bridges are used mainly for single missing teeth in the front to avoid grinding of healthy tissue. This kind of bridge is attached to the inner surface of the adjacent teeth. Adhesive bridges are most often used as temporary restorations, e.g. while dental implants are healing. Inlays and onlays are restorations used to fill large cavities of posterior teeth (premolars and molars). They provide an alternative to conventional fillings such as composites. They provide accurate anatomical reconstruction (cusps, fissures and points of contact between the teeth). Inlays and onlays are made in a dental laboratory on the basis of impressions made by the Tampa dentist. Most of them are made out of porcelain because of its universal properties, but they can also be made of gold alloys, composite materials or as a complex composition such as gold and ceramic. Inlays and onlays have many advantages: they are durable, their lifespan can be up to 30 years. A porcelain Inlay is very aesthetic and resistant to abrasion. A restored tooth looks very natural and can continue to perform its function thanks to precise anatomical reconstruction. The porcelain veneer is a thin sheet glued to the outer surface of the tooth. Thanks to the quality of the material used, the tooth has the same color and translucency as a natural one. This technique is used to cover unsightly labial surfaces of anterior teeth, it corrects discoloration which is difficult to remove by bleaching, increases the pathologically worn down teeth, hides cracks and tooth loss, closes too much space (diastema) between the teeth, corrects the shape and restores chipped tooth fragments. To a great extent, porcelain veneers spares healthy tooth tissue, which undergoes only a short preparation affecting only the enamel (about 0.8 mm). A lot of precision is needed to make veneers but the result is beautiful and lasting. Veneers do not change color, do not get darker or stain. With veneers on all front teeth, we can have l the effect of a "Hollywood" smile as they imitate perfectly natural teeth of an ideal shape and color even if natural teeth are displaced, protruding or retracted. After preparing the tooth for veneers impressions are made, which are then sent to the laboratory. During the next visit (in about 7 days), veneers are attached to the tooth. The fact is that porcelain veneers are more and more popular as a method of general cosmetic dental treatment. It is one of the pillars of cosmetic dentistry. Sometimes, it allows for achieving spectacular cosmetic effects and also it does not rule out a prosthetic re-intervention. It becomes invaluable with young patients. Probably due to the more and more modern materials used in their making, the list of indications for their use will grow larger. Their very low invasiveness and excellent aesthetics have made ceramic veneers become a standard way to improve one’s smile in Tampa show-business and can be seen in many film stars. New - veneers which do not require any grinding of teeth – it is fired on a microscopic 0.025 mm thick platinum foil. 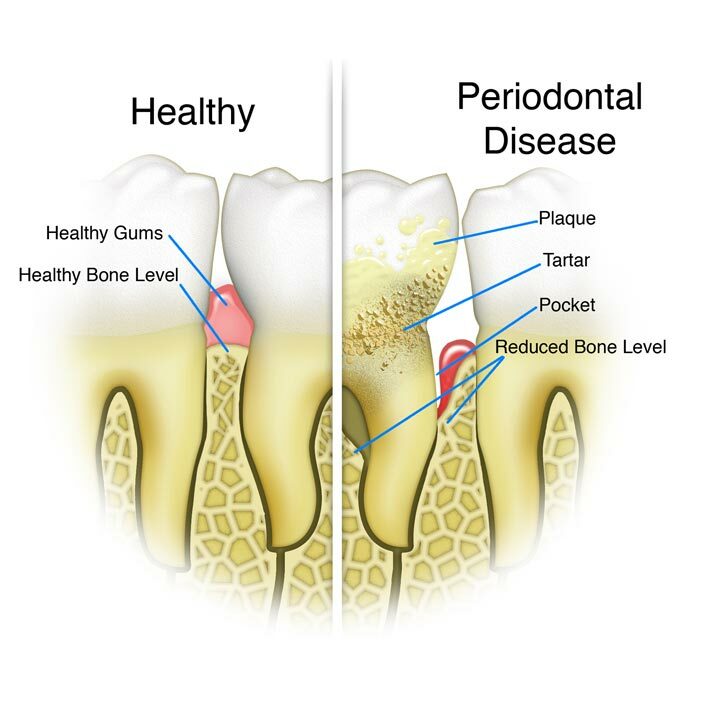 Tampa periodontology dentistry involves treatment of gum disease and surrounding tissues. Symptoms such as gingivitis, exposed roots or periodontitis require dental intervention. Early diagnosis and proper treatment help keep teeth healthy and minimize the risk complications. If the treatment of periodontitis begins in the early stages of the disease, then a professional hygiene procedure will suffice. 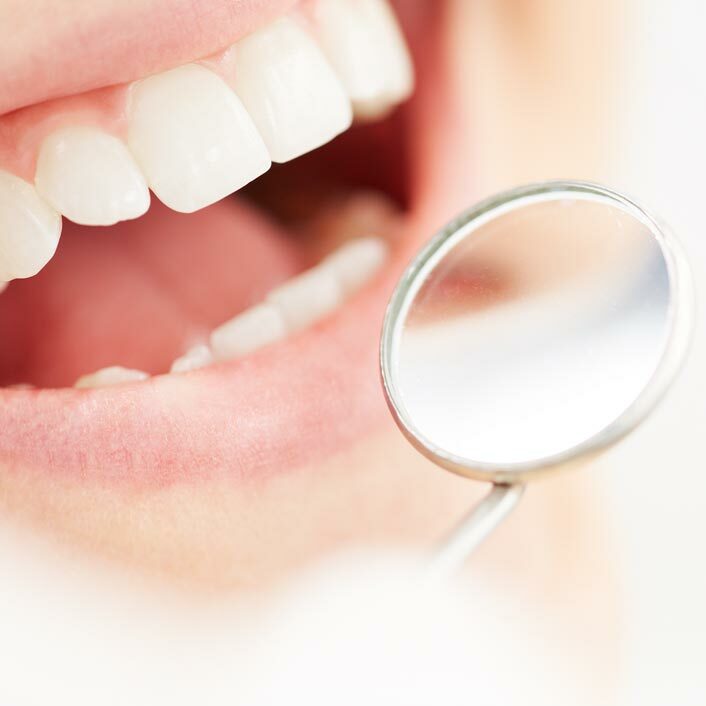 During this procedure, a Tampa hygienist cleans the teeth of tartar and plaque. In cases of advanced disease, a surgery is required. Then, in addition to cleaning the root surface of plaque and tartar, damaged gums and bones must be corrected with special materials used to regenerate lost tissues, such as Emdogain, Bone Ceramic, Bio-Oss, Bio-Gide. Classical Tampa periodontal treatments lead to the elimination of the inflammation but do not allow for the restoration of a fully functional apparatus keeping the tooth attached to the bone. This is because the proteins necessary to produce dental cement, particularly amelogenin, are produced by the human body only in the human fetal life. 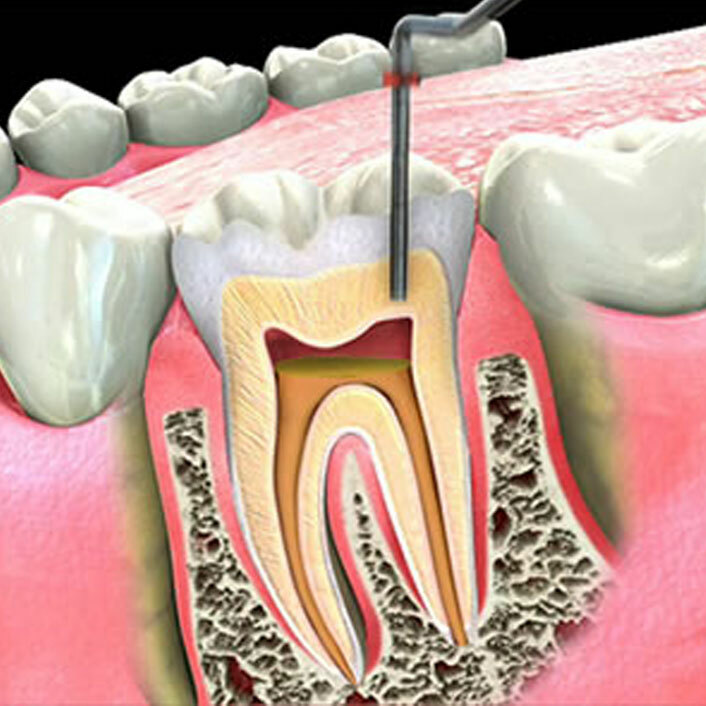 Therefore, the only way to recover lost attachment is by means of dentistry treatment with the use of Emdogain. The most important component of this preparation is the amelogenin, thanks to which Emdogain can work like a natural tooth. The Tampa doctor applies Emdogain preparation immediately onto the exposed surface of the tooth root. Then the amelogenin contained in it begins regeneration of lost tissue by repeating the processes that took place during the formation of teeth in fetal life. In this way, the patient recovers the tooth surrounding tissues lost due to the disease and keeps the tooth stable in the bone. Emdogain has been used successfully in more than one million dental patients worldwide. The full regeneration process takes about a year. However, it must be emphasized that the success of treatment depends largely on the patient and regular oral hygiene. Regular control visits and a strict adherence to the doctor’s recommendations is required. How to protect yourself against periodontitis? The best protection against periodontitis is a regular, thorough oral hygiene, combined with regular removal of plaque in the dental surgery. One of the most important things is to learn the proper tooth brushing and flossing care with the help of a Tampa dentist or a hygienist. Contrary to appearances, not many people can do that. Dental floss removes the plaque from between the teeth, where the toothbrush cannot reach. Also, it is often necessary to use special interdental brushes. They should be chosen in consultation with a Tampa dentist or a dental hygienist. In advanced periodontal disease, also water picks are applied, which purify the gingival pockets, and massage the gums. They are also recommended for patients with dental implants. Full acrylic dentures are placed in the mouth after the removal of all remaining teeth and the healing of tissues, which can take up to 3 months. Unlike the above-mentioned acrylic dentures, frame dentures have an acrylic plate maximally reduced, which makes them much more comfortable to use. Classical frame dentures have staples, thorns, etc., which are more or less visible. Aesthetic dentures are fitted with special bolts, latches, or telescopes, which also makes this denture secure and stable. As a result, the user may feel comfortably at ease while talking or eating. It also ensures a satisfactory cosmetic result. In some cases, we offer Tampa dental patients splints which protect teeth from wobbling. Immediate dentures are worn immediately after tooth extraction (impressions are taken by the Tampa dentist during a previous visit). Although the advantage of these dentures is that the patient will never be without teeth, they must be re-adjusted after a few months when the gums have healed completely. Esthetic dentistry combines different cosmetic treatment methods to make our teeth look beautiful. A beautiful, bright smile is the sign of well-being, it gives us good self-esteem and self-confidence every day and white, healthy, properly aligned teeth are a big advantage in today's private and professional life. Is this possible? Yes, thanks to advanced cosmetic dental materials a beautiful smile is within our reach. 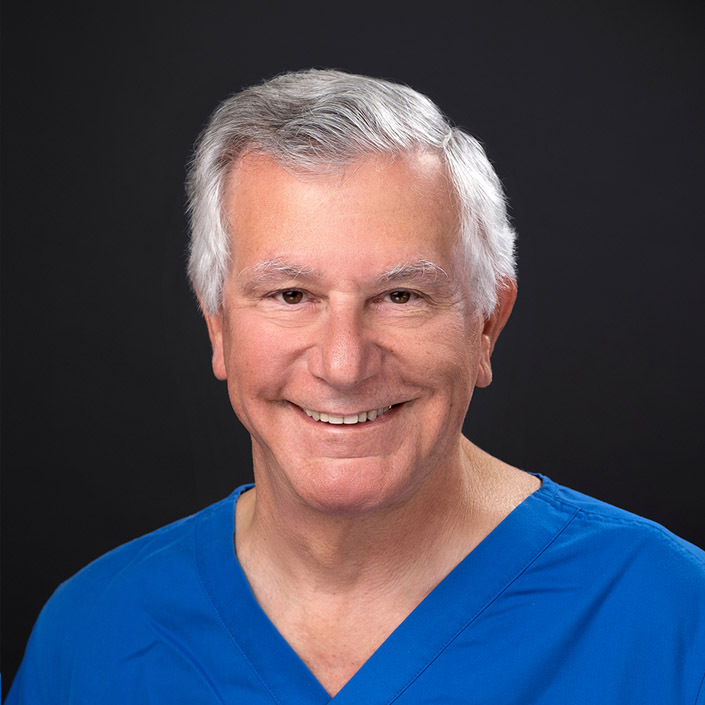 A nice and healthy smile can be achieved thanks to patient's cooperation, the commitment of the Tampa hygienist and the experience of our Tampa dentist specializing in esthetic dentistry. Professional teeth cleaning care performed regularly every 6 months helps to keep the gums in a good condition, clean hard to reach places and remove stains. As a result, the teeth are significantly whiter after the dental procedure. If there are no other contraindications, it is the best time to perform the cosmetic teeth whitening treatment. Professional in-office teeth whitening is an aesthetic procedure. In our Tampa, Florida clinic, we are able to achieve a phenomenal final result thanks to the ZOOM whitening lamp. The ZOOM! in-chair whitening system is a scientifically advanced, patented procedure, which has equal among other methods of teeth whitening. This light-activated teeth bleaching procedure is safe for tooth enamel and gives guaranteed effects after just two 15-minute sessions, during which a special gel is applied to the teeth before they are treated with light. Among all the different methods of teeth whitening, ZOOM is a perfect solution for all those busy people who would like to have an immediate result. It is recommended to professionally clean your teeth before starting any treatments. The general dentistry cleaning includes: plaque and tartar removal, scaling with ultrasound, polishing, sandblasting and fluorization which protects against cavities and oversensitivity. Professional dental cleaning and care is an excellent prophylactic way to prevent dental diseases and keep your natural teeth healthy and beautiful. Children are our special patients and we treat them with care. During the first visit, called “adaptive”, the Tampa dentist and patient get to know each other; the child gets familiar with the room, chair, and equipment. The Tampa dentist also initiates dental education about the importance of good oral hygiene care and regular dental visits. Treatments usually begin during the next visits and are pain-free due to local anesthesia. We offer a full range of general dental procedures for children, ranging from teeth brushing to specialized dentistry treatments. An example would be a groove sealing with special materials that help re-mineralize and heal the damaged tooth. Our little patients may choose the tooth filling color for milk teeth, ex. pink. In our Tampa office clinic, modern x-ray diagnostics (radiography) is done with a digital panoramic x-ray and Digora system. Hear what our client's have to say about their experiences at Broadway Dental in Tampa, Florida. Read more reviews from actual patients and see what others have to say about their experience. Feel free to contact our trusted office! We would love to hear from you and the family!